Note: We have published a follow-up article with more technical details about this vulnerability which resides in Broadcom WiFi SoC equipped not only in Apple devices, but also in Android devices from various manufacturers. Less than a week after Apple released iOS 10.3 with over 100 bug fixes and security enhancements; the company has just pushed an emergency patch update – iOS 10.3.1 – to addresses a few critical vulnerabilities, one of which could allow hackers to "execute arbitrary code on the Wi-Fi chip." The vulnerability, identified as CVE-2017-6975, was discovered by Google's Project Zero staffer Gal Beniamini, who noted on Twitter that more information about the flaw would be provided tomorrow. Apple also did not provide any technical details on the flaw, but urged Apple iPhone, iPad and iPod Touch users to update their devices as soon a possible. In the security note accompanying iOS 10.3.1, Apple describes the issue as a stack buffer overflow vulnerability, which the company addressed by improving the input validation. A stack buffer overflow flaw occurs when the execution stack grows beyond the memory that is reserved for it, allowing hackers to execute malicious code remotely. The flaw allows an attacker, within range, to execute malicious code on the phone's Wi-Fi chip. The vulnerability appears to affect iPhone 5 and later, iPad 4th generation and later, and iPod touch 6th generation, and later devices running the iOS 10.3 operating system. It's worth mentioning that iPhone 5 and iPhone 5C were Apple's last iPhone handsets to have a 32-bit processor with Apple A6 system on a chip. 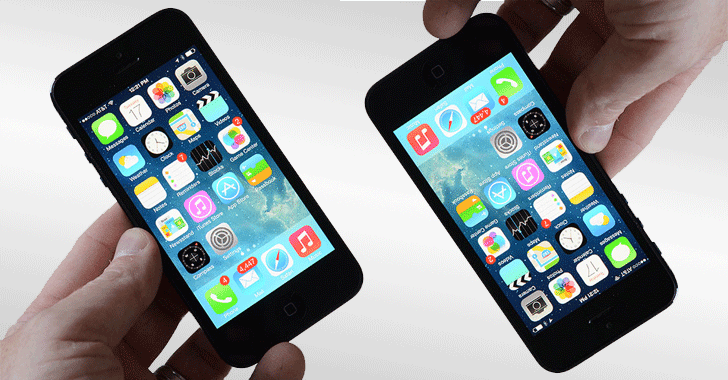 Since iPhone 5S has a 64-bit processor, it is not affected by the issue. To know more technical details about the flaw, you are required to wait until tomorrow when Beniamini will release a detailed blog post describing the bug and its impact on Apple users. With iOS 10.3 release, an over-the-air download for 32-bit Apple devices wasn't available. This has also being changed with iOS 10.3.1 update, which brings back support for iPhone 5 and 5C as well as the fourth-generation iPad -- the only remaining 32-bit Apple devices. The iOS 10.3.1 update can be downloaded over-the-air via Settings → General → Software Update on your iOS device. Apple users running iOS 10.3 should be able to see the iOS 10.3.1 update, so press on the "Download and Install" button to install the update.